Award-winning garden expert Doug Oster is our first (or perhaps, most famous) guest to have visited all seven Pittsburgh Garden Trail destinations! We are honored to have his coverage. Please read his article and watch the short video he created on the Everybody Gardens website. 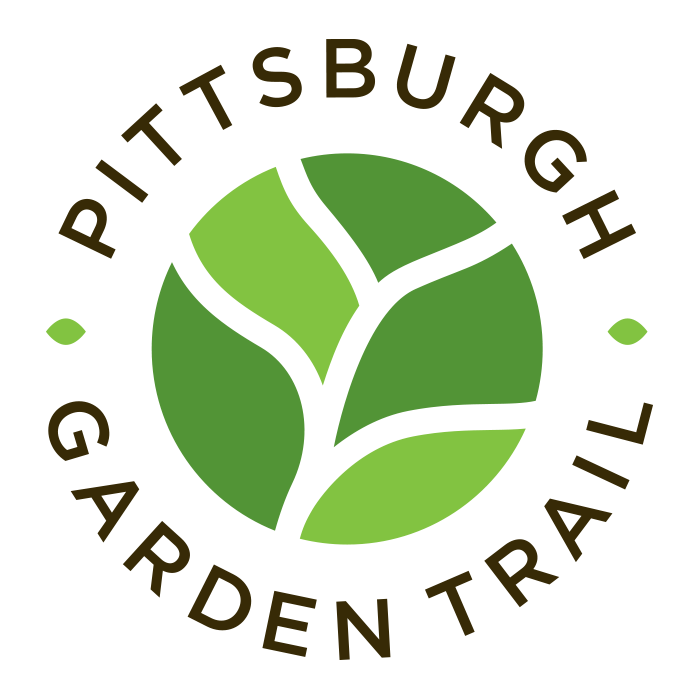 Pittsburgh Mayor William Peduto Announces Pittsburgh Garden Trail Day! On Friday, May 11, Pittsburgh will recognize Pittsburgh Garden Trail Day, as proclaimed by Mayor of the City of Pittsburgh, William Peduto. Activities will be held at the seven founding gardens: Carrie Furnaces (a Rivers of Steel site), Chatham University Arboretum, The Frick Pittsburgh, Phipps Conservatory and Botanical Gardens, Pittsburgh Botanic Garden, Pittsburgh Zoo & PPG Aquarium and Rodef Shalom Biblical Garden on this honorary day of celebration. Pittsburgh Garden Trail is a collection of gardens in Pittsburgh open to the public, providing opportunities for visitors to interact with nature in a variety of beautiful and peaceful settings. Each garden is distinct, including outdoor and indoor areas for a variety of displays, exhibits and special events that garden lovers will enjoy throughout the year. Organizations will hold special activities on Friday, May 11 to celebrate Pittsburgh Garden Trail Day. Carrie Furnaces (A Rivers of Steel site) — free previews of the new tour Post-Industrial: the Arts & Grounds Tour offered from 2 – 8 p.m.
Chatham University Arboretum — free tour of the Arboretum offered from noon – 2 p.m. Please R.S.V.P. to arboretum@chatham.edu as space is limited. Phipps Conservatory and Botanical Gardens — 50% off admission to Summer Flower Show: Gardens of Sound and Motion, and May Market event open to the public 9:30 a.m. – 7 p.m.
Pittsburgh Botanic Garden — Buy one admission get one free (or one free guest admission for members) and showcase of the Margaret Lawrence Simon Dogwood Meadow, including hands-on activities between 10 a.m. – 2 p.m.
Pittsburgh Zoo & PPG Aquarium — Join the Zoo’s polar bear mascot for a photo opportunity and participate in giveaways from 10 a.m. – 1 p.m. Most gardens are open for self-guided tours, encouraging guests to visit and explore each one. Join us at the 2018 Pittsburgh Home & Garden Show! Pittsburgh Garden Trail will be exhibiting at Booth #1026 at the Pittsburgh Home & Garden Show, held at the David L. Lawrence Convention Center in lovely Downtown Pittsburgh from March 2-11. Stop by for a chat with representatives from each of our member organizations - and sign up for a chance to win a gift basket full of PIttsburgh Garden Trail admission tickets and swag! The Pittsburgh Garden Trail booth will also have handouts including a map of our garden locations, info on upcoming events, and seed packets! We hope to see you there. In celebration of the first day of fall, a number of the Pittsburgh region’s hidden and not-so-hidden horticultural gems have come together to launch the Pittsburgh Garden Trail (PGT), a collection of gardens that highlights the beauty and ecological diversity of western Pennsylvania. Founding and participating organizations include: Phipps Conservatory and Botanical Gardens, The Frick Pittsburgh, Pittsburgh Botanic Garden, Pittsburgh Zoo & PPG Aquarium, Carrie Furnaces (A Rivers of Steel site), Chatham University Arboretum, and Rodef Shalom Biblical Botanical Garden. Additional support for the Pittsburgh Garden Trail has been provided by South Side-based landscape architects Terra Design Studios. “Each of us came together to create the Pittsburgh Garden Trail in order to help visitors and residents experience the beauty of our area through a unique collection of gardens offering engaging experiences and unique settings where people can connect with and enjoy nature in the heart of our urban surroundings,” said Keith Kaiser, Executive Director of the Pittsburgh Botanic Garden and Chair of the Pittsburgh Garden Trail. Visitors can find information, maps, directions and frequently asked questions about the Pittsburgh Garden Trail at www.pittsburghgardentrail.com. Be sure to follow @PGHGardenTrail on Facebook, Instagram and Twitter for all the latest news and updates. There is no official starting point for visiting the sites along the trail, and visitors are encouraged to create their own experiences at their leisure. A special event and guided tour of the sites along the trail is in development for the spring 2018 season.